Take a seat in the Restaurant Bacher, the winter garden or the terrace, and indulge yourself every day from 11 am to 8.30 pm. Our breakfast buffet from 7.30 to 10 am is also open to external guests. Austrian delicacy cuisine with regional and seasonal specialties, children’s menu, vegetarian dishes and meals for more energy during sport! 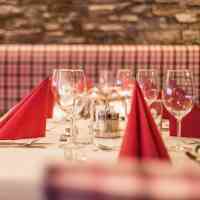 Look forward to Austrian classics and specialties of the Pinzgau cuisine. 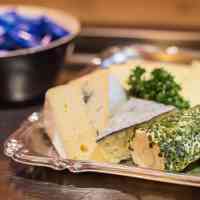 We preferably use seasonal produce from farmers in the province of Salzburg, preferably from controlled organic farms. If you’re sporty, fill up your energy tank with dishes that are rich in carbohydrates and protein. If you’re vegetarian, you’ll cherish the small but fine selection on our menu. And don’t miss out on a good glass of Austrian wine. Small gourmets up to the age of twelve will definitely find their favourite food on the children’s menu. The tastes of parents and children can often be quite different, and that’s absolutely alright at the Restaurant Bacher in Leogang. Choose what you like from the weekly menu or the regular menu. You’d like to celebrate your birthday, the next family celebration or a meal with colleagues at the Restaurant Bacher? We compile individual menu suggestions for your festivities to meet your budget. We’ll also create the right ambiance upon agreement with suitable dressing and table decoration. Get in touch with us by calling +43 (0) 6583 8556 or email us at info@hotelbacher.at – we are looking forward to your enquiry!